Full service restoration for residential concrete customers. We carry out all types of concrete crack repair and general repairs. 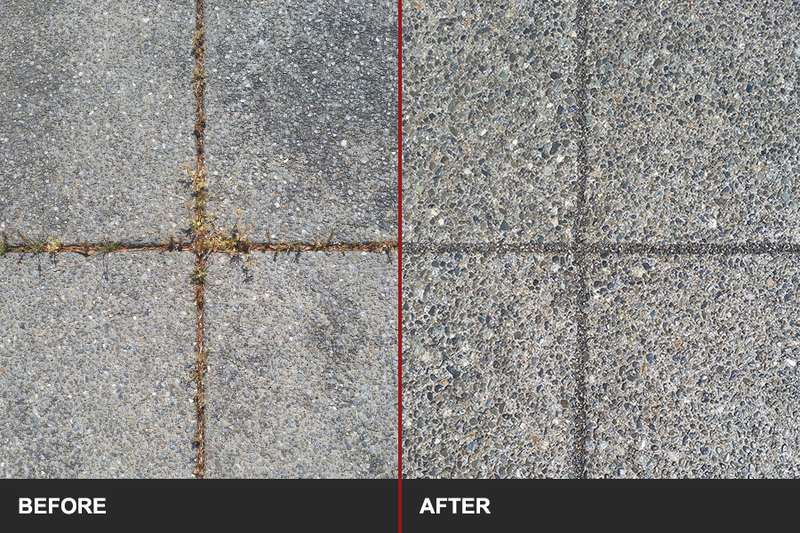 We clean, seal, provide anti-slip, and tint (re-colouring your concrete). 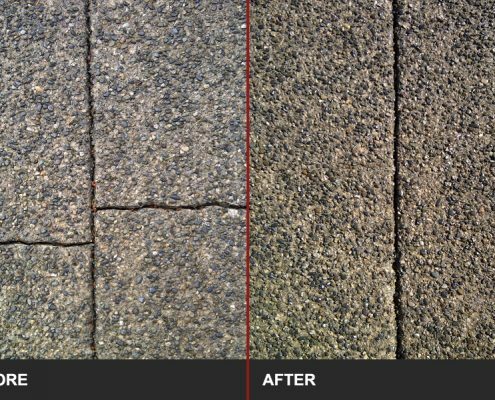 For our residential customers it may be a problem with cracks on an exposed aggregate driveway or pool deck, or an issue with water leaking through a crack in a basement wall. 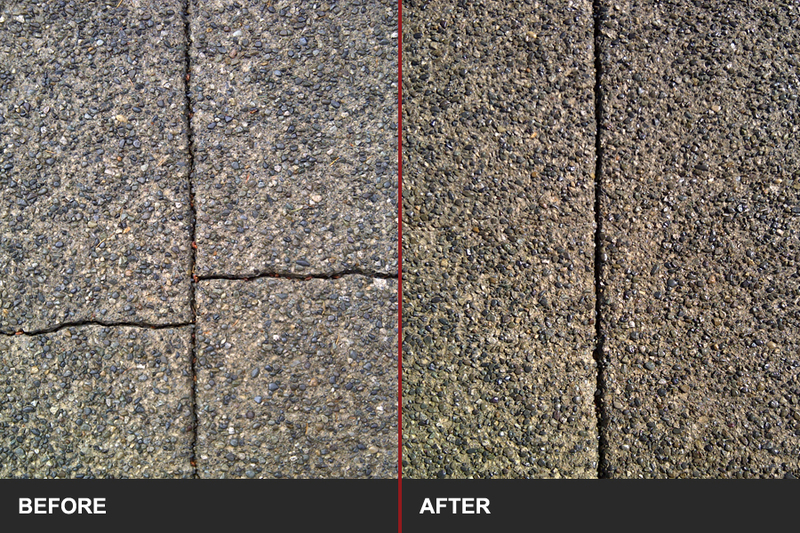 We not only repair your concrete cracks but in most cases can make the repair seem almost invisible. Have one of our associates come and give you an estimate to fix your cracks and beautify at the same time. Make your driveway, walkway or pool deck like new again. 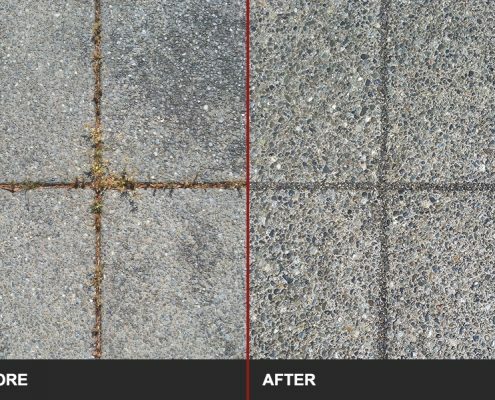 As well as clear sealing and resealing, we can tint and re-colour your concrete as part of our cleaning and sealing process. 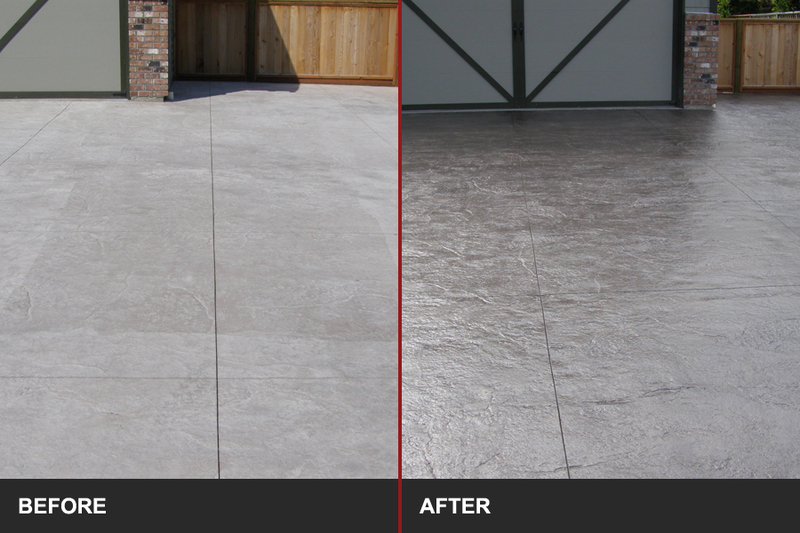 Stamped concrete that has lost it’s colour over time can be brought back to life. You may want to have the borders on your exposed aggregate driveway or even the whole driveway tinted to make your property stand out and add character. Call us to arrange an estimate on having it lifted back to proper elevation. More about our slabjacking (concrete raising) services is available here. If we can’t solve your problem we’ll help by referring you to someone reliable who can. View the Residential Before & After Photo Gallery or Contact us for an estimate. Do I really need to seal my type of concrete? Exposed Aggregate Concrete is designed to be sealed, usually with a high gloss sealant to create that “Wet Look”. 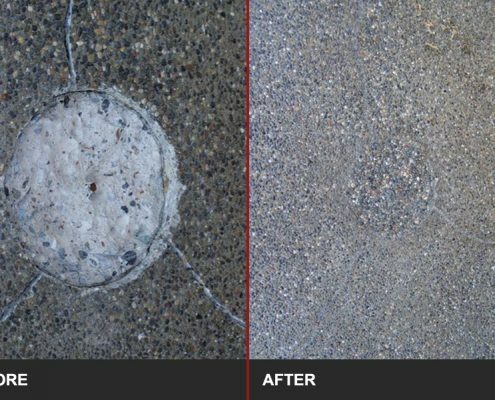 One of the reasons it must be sealed is because of the open pore design of the surface that if left un-sealed, allows water and contaminants to easily enter the concrete and cause damage from freeze/thaw cycles as well as staining. Stamped concrete is also designed to be sealed and like all designed concrete will require maintenance to protect it’s finish. 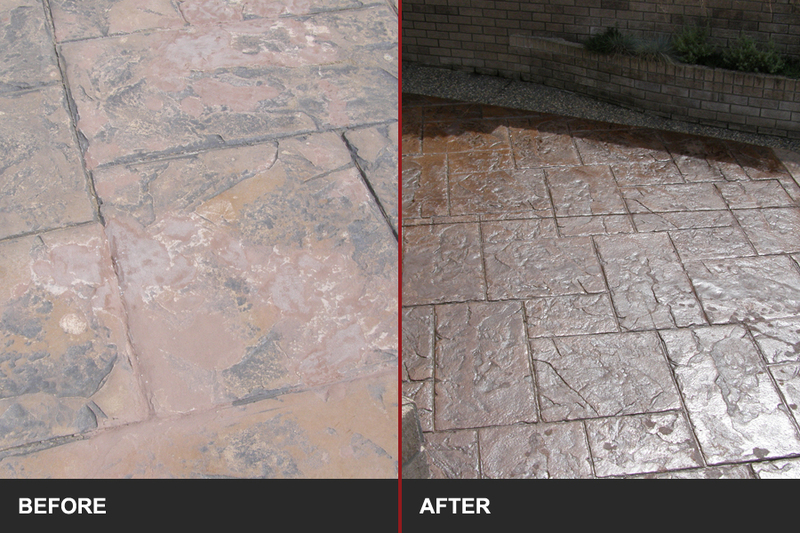 The colour coat is extremely thin, be very careful not to do irreparable damage with a pressure washer. So what about all the other types of concrete? 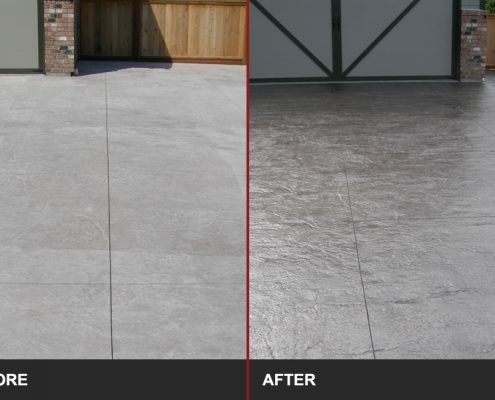 It makes sense to maintain your concrete and avoid the substantial expense and hassle of replacing it after it becomes damaged. For concrete, sealing is a good preventative action to help prevent stains and damage from freeze/thaw as well as environmental hazards. 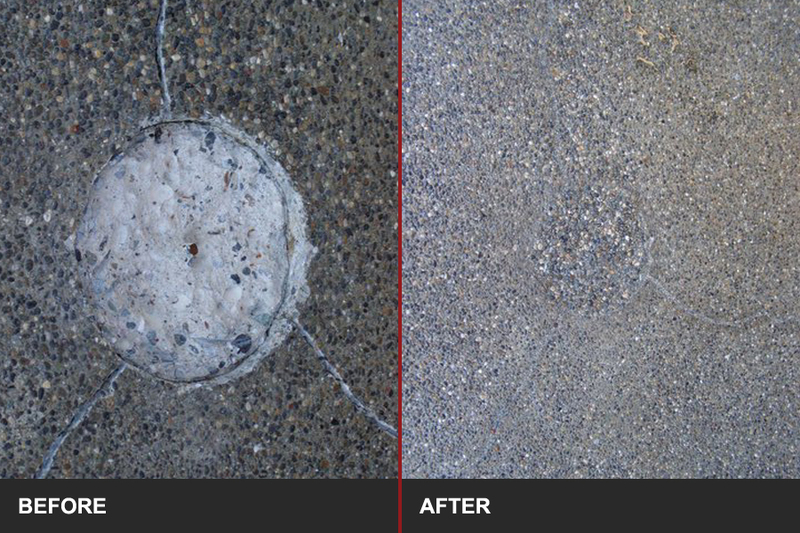 All types of concrete can be sealed with several different types of sealant to choose from. Even the mostly overlooked garage floor is a great candidate for protection. Your garage floor takes most of the punishment during winter months because your car drops salt and debris collected from the road and deposits it on the concrete where it attacks the surface often resulting in pitting, chalking, and flaking. If you own a vehicle that leaks oil you know how hard it is to clean off after a winter of leaking, even with a good pressure washer. One popular type of finish for garage floors are epoxy based products that come with a very long service life and are available in many colours and can be installed with a grip surface to dramatically improve traction when wet. This type of finish is resistant to all oils, battery acid, brake fluids and of course salt. How do I care for my concrete in Winter? You can help maintain concrete by shoveling the snow from your driveway, sidewalk and steps. By keeping the snow cleared, these is less chance that it will compact down freezing into the surface and accelerate the freeze/that cycle. The less number of times that water enters concrete and freezes, the less likely that it will become damaged. Use a plastic shovel instead of a metal one. Bent/sharp corners of a worn metal shovel can damage the surface of certain types of concrete. Is it okay to use salt as a deicer? What about "Environmentally Friendly" deicers? The common property of all different types of deicers is that they all seem to have the potential to damage concrete and some are harmful to the environment. Another potential problem with using a deicer of any kind is the damage caused by increased freeze/thaw cycles. For example, when a product rated for -9 C melts snow and ice, it will enter the pores of the concrete as salty water. When the temperature drops below the rated temperature for that particular salt it can refreeze and expand in the pores of the concrete causing damage. Many types of salt deicers are marketed as “Environmentally Friendly”. Be careful when using these products and read the directions carefully.